After St. Frances Academy secured a 10-point victory over The John Carroll School Jan. 10 in a game matching two of the best boys’ basketball teams in Maryland, let alone the Baltimore Catholic League, coach Nick Myles framed the victory. Myles was not being facetious. In less than a decade, the Panthers have gone from not having a football program to one that last season rolled through the Maryland Interscholastic Athletic Association A Conference, traveled out of state to beat other high-powered teams and finished ranked No. 4 in the nation by USA Today. Girls’ basketball recently completed its third straight perfect season in the Interscholastic Athletic Association of Maryland A Conference, and is also ranked No. 1 in the area. Boys’ basketball went 13-1 in the Baltimore Catholic League. It was upset in the semifinals of the MIAA A Conference tournament, but takes the top seed into the 47th annual BCL tournament, which concludes March 4 at Goucher College. If the Panthers succeed there – or at the season-ending Alhambra Catholic Invitational Tournament in Frostburg – they would probably return to the top of area rankings. The Baltimore metropolitan area has never seen a high school, in the same school year, ranked No. 1 at the end of their respective seasons in those three marquee sports. The fact that it is occurring at a school with 172 students, on a campus that has no football facility and the Maryland State Penitentiary as a neighbor, makes it all the more compelling. The school’s assets include the charism of Mother Mary Lange, who helped found the 190-year-old school; a principal whose inspirations include his schoolboy days at a Catholic sports power in the Archdiocese of Washington; and, on the football side, a regional roster and the support of a man with experience building a dynasty. 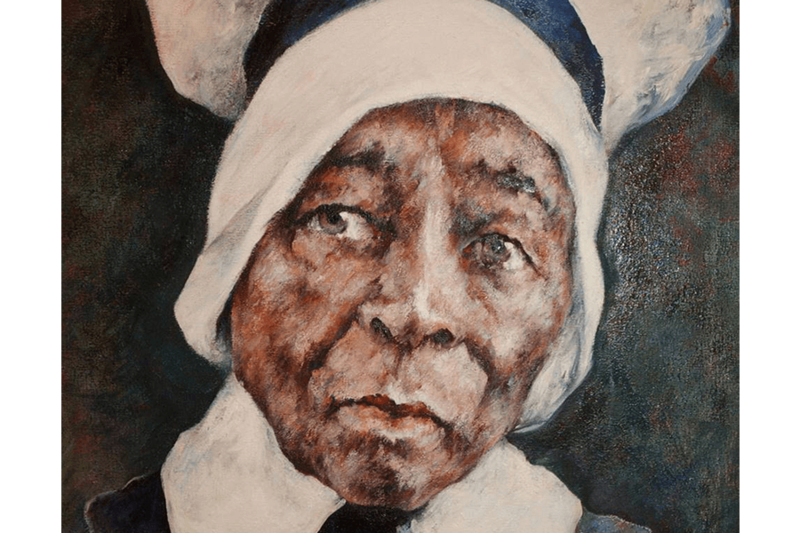 St. Frances Academy is owned and operated by the Oblate Sisters of Providence, the first sustainable Catholic sisterhood founded by women of African descent. Mother Lange was their foundress. In 1828, the same year Andrew Jackson unseated incumbent John Quincy Adams in the U.S. presidential election, the Oblate Sisters and Sulpician Father James Joubert opened a school in Baltimore to educate the children of slaves and former slaves. The Oblate Sisters continue to have a strong presence at the school, especially Sister John Francis Schilling, the president emeritus who continues to maintain regular office hours. A basketball player in her youth, Sister John Francis coached at St. Frances Academy, blogged about the sport and continues to keep the official scorebook at home games. In 2002, the floor at St. Frances Academy’s then-new gymnasium was dedicated in her honor. Sister John Francis came to the school as an English teacher and counselor in 1984, just before it elevated its basketball teams from Catholic Youth Organization to interscholastic athletic status. “Once you have good coaches and teams, you don’t have to recruit. People come to you,” Sister John Francis said. That was the dynamic Deacon Curtis Turner, principal of St. Frances Academy since 2008, experienced as a student at DeMatha Catholic High School in Hyattsville, which has one of the nation’s most successful high school athletic programs. The toll taken on Baltimore City by illiteracy, addiction and incarceration was in mind when St. Frances Academy added football as an after-school diversion for boys in 2008. According to Deacon Turner, the seed money was a $60,000 donation from Biff Poggi, then a St. Frances Academy board member and already the architect of the area’s premier prep football program, at The Gilman School. In 2013, the Panthers jumped from the MIAA C Conference to the A Conference, where they promptly beat Calvert Hall, Loyola Blakefield and Mount St. Joseph. In 2016, Poggi left Gilman after winning 13 A Conference titles in 19 seasons. He went to the University of Michigan as an associate head coach/special advisor to coach Jim Harbaugh, brother of John, the Ravens’ coach. The rest of the Gilman staff moved to St. Frances Academy. Its coaches, all volunteers, include former Baltimore Colt Stan White and Bill McGregor, a parishioner of St. Louis in Clarksville. McGregor was among Deacon Turner’s English teachers at DeMatha, where he spent nearly 40 years and won 278 games as head football coach. “I’ve got the best high school football coaching staff in the country,” Myles said. Other Catholic schools spend on facilities; the Panthers invest in talent. According to Deacon Turner, Poggi is funding scholarships for more than 40 football players at St. Frances Academy, where tuition is $9,150. Why does Poggi make that donation? “St. Frances Academy seemed to be a place that was making a big impact in the lives of a good number of kids who didn’t have much,” said Poggi, a hedge fund manager. “It educates children, some of whom are virtually homeless, aren’t eating properly, or living in areas where there is great danger. Last fall, Poggi returned to Baltimore and became co-head coach of the Panthers with Henry Russell, who runs a football recruiting service. St. Frances Academy steamrolled the A Conference and became an important stop for major college recruiters. Eyabi Anoma accepted a scholarship to play for national champion Alabama; Peace Addo with Duke; Jaelyn Duncan with the University of Maryland; and Randy Fields with West Virginia University. Anoma transferred in as a junior from Randallstown High. 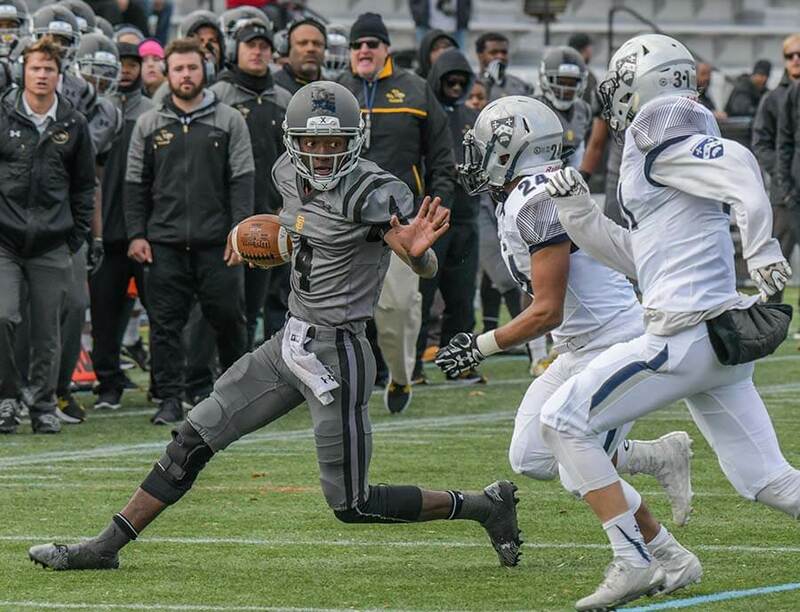 Fields is from Cecil County, and junior quarterback Jalon Jones hails from Richmond, Va.
With so much of Baltimore in distress, Deacon Turner was asked, why not give those scholarships to local boys? Not all of the Panthers’ players go on to big-time football schools. Ben Nwaohu Amadi received a scholarship to attend Georgetown University in Washington, D.C., where he plans to study pre-med. Amadi and three younger siblings were raised in Prince George’s County. His mother Nnenna, an immigrant from Nigeria, works as a nurse. Noticed for his football talent with the Maryland Seahawks, he spent his freshman year at Gilman and his sophomore year at Riverdale Baptist before transferring to St. Frances Academy in 2016. Amadi and other football players from out of town are housed, fed and supervised in two row homes in nearby Canton. (The school’s Residential Life Program, which began in 2012, houses 14 formerly homeless boys at the Father Joubert House on campus). How, Deacon Turner, was asked, is the Panthers’ football program different than, say, Eastern Christian Academy, an Elkton-based online school that sponsored a high-level football program from 2012 to 2015? The Panthers’ commitment to, and emphasis on, football has caused concern elsewhere. After last season, Loyola Blakefield announced that its football program was withdrawing temporarily from the A Conference. Before Christmas, the MIAA leadership asked to meet with Deacon Turner about the Panthers’ rapid ascent in the sport. “Their rise to success in the very competitive A Conference has people talking,” said Lee Dove, executive director of the MIAA. “They’ve got guys (coaches) who are good at what they’re doing, and they’ve got players coming in and stepping right up and contributing. Dove acknowledged that St. Frances Academy is not violating any MIAA rules. For nearly the first 150 years of its existence, St. Frances Academy was an all-girls’ school, admitting boys only in the mid-1970s. Jerome Shelton came a year later as a history teacher, and became the girls’ basketball coach in 1991. His program was already established when St. Frances Academy finally built the aforementioned gym. (The football team practices at Dunbar High’s Sugar Cain Field, and plays home games at Patterson Park’s Utz Twardowicz Field). “We practiced everywhere under the sun my first 11 years here,” Shelton said. He’s coached Angel McCoughtry, a two-time Olympic gold medalist, and family legacies, such as sophomore Angel Reese, whose aunts played for the Panthers a generation ago. 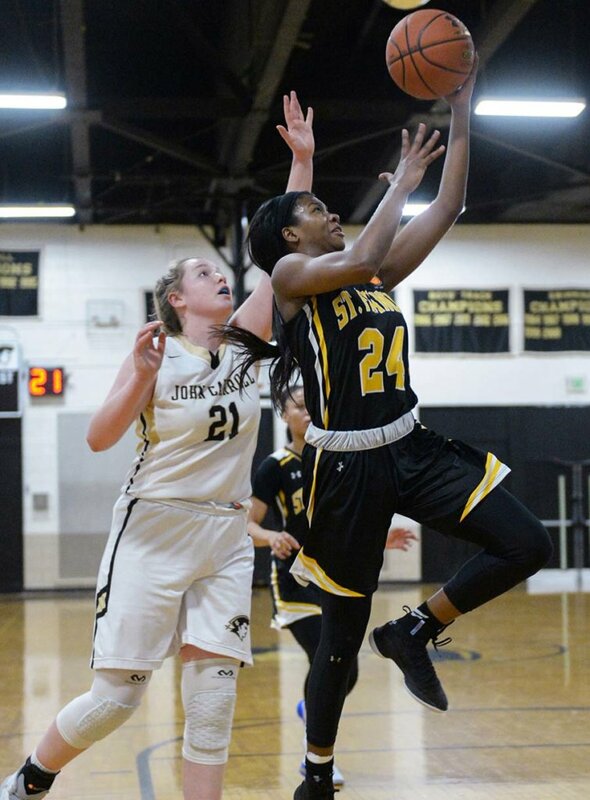 Along with point guard Nia Clouden, who will attend Michigan State University on an athletic scholarship, they led St. Frances Academy to its 11th IAAM title since 2001. St. Frances Academy, 21-4 overall, is favored to defend at the Bishop Walsh Girls Invitational Tournament, which runs March 1-3 in Cumberland. Last year’s team finished with a No. 17 ranking by USA Today. Like everyone else at the school, Shelton wears many hats. 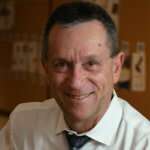 He’s chairman of the social studies department, and helps spread the word about Mother Lange. Shelton spent seven years in the U.S. Army. Deacon Turner is a Navy veteran. Every August, senior staff lead a New Student Institute, a mandatory two-week bootcamp in August for all freshmen and transfers. The program includes sharing the legacy of Mother Lange. No coach at St. Frances Academy faces bigger expectations than Myles. Boys’ basketball put the school on the athletic map, as William Wells, an art teacher and Madison Square Recreation Center leader, led the Panthers to their first BCL title in 1991. Five years later, behind Mark Karcher, they became the second – and last – BCL team to win the Alhambra Tournament. Just as Deacon Turner is inspired by his high school experience, Myles is motivated by his days in the mid-1990s at Dunbar, when it was ending a run as the nation’s premier high school basketball program. “My dream one day is to play Dunbar, at Dunbar,” he said. Two seasons ago, St. Frances Academy won the A Conference behind Kurk Lee Jr., whose father starred for Calvert Hall and then Dunbar in the mid-1980s. Lee moved on to Drexel, and last season Myles began putting into place what might be his best team. 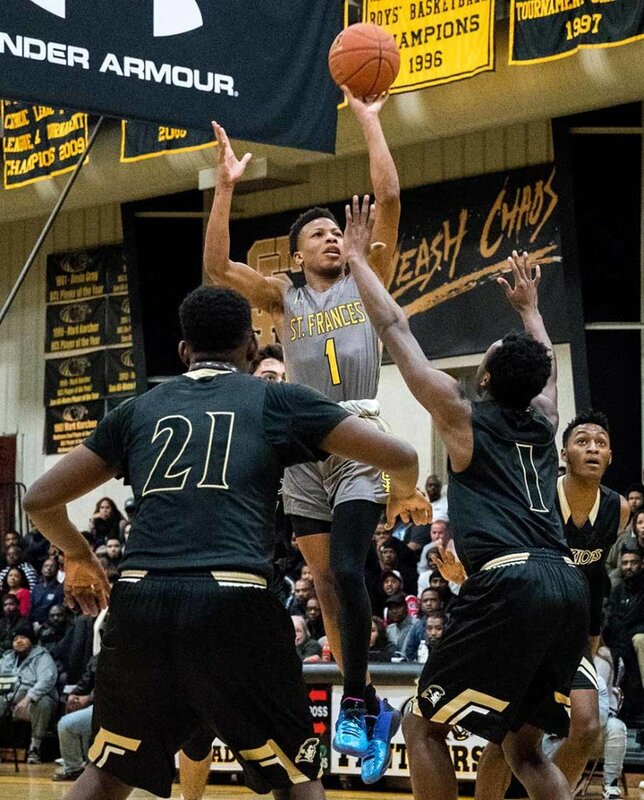 This winter St. Frances Academy faced a stacked BCL, where McDonald’s All-Americans Immanuel Quickley and Jalen Smith led John Carroll and Mount St. Joseph, respectively, to the last two tournament titles. The Panthers swept the Patriots and the Gaels, and lost only to Loyola Blakefield. St. Frances Academy collides with John Carroll in the BCL tournament semifinals March 3 (7:30 p.m.) at Goucher College. Do-it-all senior captain Elijah Epps and savvy sophomore guard Adrian Baldwin were voted first-team all-BCL. Rajeir Jones was voted the BCL Defensive Player of the Year. The Coach of the Year was Myles, who has a deep roster and an interesting dynamic in the building. That is the prospect for Jordan Toles, a sophomore whose Christmas anticipation included an interesting weekend. A Catonsville resident, Toles came to St. Frances Academy in 2016 to play basketball, but joined the football team, a sport he had last played in 2013. On the evening of Dec. 22, he left the Panthers’ basketball victory at Mount St. Joseph to catch a flight out of BWI-Thurgood Marshall Airport for Phoenix. The next day, Toles helped St. Frances Academy football dominate a team from Utah in the Geico State Champions Bowl Series. Toles was an honorable mention all-BCL selection, but is getting more substantial interest from major-college football programs.